From a very young age, Dr. Carnaggio knew he wanted to be a dentist. He began his pursuit of a career in dental medicine observing in the office of a family friend, who was a prosthodontist. His interest became his passion as he saw the difference a prosthodontist can make in a person’s life by improving not only their oral health but also the patient’s quality of life. Dr. Carnaggio continues to be inspired by advancements in dental medicine that allow him to improve the oral health and overall wellness of his patients. Dr. Carnaggio is grateful for the opportunity to serve the Hickory community and interact daily with his patients. Some of the most exciting advancements Dr. Carnaggio has seen have been in the areas of Prosthetics and Implant Dentistry. He routinely attends lectures and Continuing Education (CE) courses on these topics to stay atop of the latest developments and advancements. 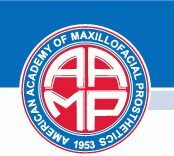 In addition to attending CE courses, Dr. Carnaggio has also served as a lecturer, presenter, and recently published an article in the prestigious Journal of Prosthodontics. He also was awarded first place for a presentation to the American Prosthodontic Society, which focused on CAD/CAM dentistry and serves on a Tumor board in Winston Salem, NC. 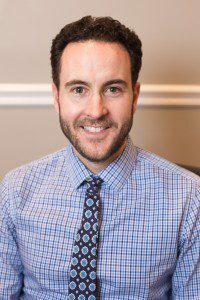 Dr. Carnaggio is originally from the Pittsburgh area and relocated to North Carolina after completing his residency program in 2007. He and his wife, Robbie, have three children: Lilly, Nyah, and Grayson. In his free time, Dr. Carnaggio enjoys family activities such as biking, rollerblading, hiking, and swimming. Dr. Carnaggio enjoys giving back to the community and regularly volunteers and supports local dental clinics and participates in GiveKids A Smile day. He has served as a fundraiser for the North Carolina Missions of Mercy organization and also supports local animal charities along with his family. His oldest daughter, Lilly, is an avid animal lover and enjoys collecting donations and fundraising for animal charities. The family is rounded out with three pets, Golden Doodles Lucky Lou and Chewbacca, and a cat aptly named Bella.